It’s so easy to put off going to the dentist, isn’t it? Most adults have at one time or another: you’re busy with work; you’re scheduling dental visits for loved ones and not getting around to making your own appointment; you’re worried about the work you may need and how to afford the costs; or maybe you even suffer from dental anxiety, something that affects an estimated 15% of Americans. Garrison Family Dentistry knows life happens, and we also want you to know there will be no judgment from us. Whenever you’re able to schedule your appointment and come visit, our team will be glad to see you! We’ll start with where you are the day we meet, we’ll listen to your future goals for your health and smile, and we’ll work on helping you achieve them—together! The materials used to make today’s tooth-colored fillings bond strongly with remaining healthy tooth structure, which helps prevent damage to adjacent teeth sometimes seen in more old-school metal restorations. They are also color-matched to your natural teeth to blend beautifully with your smile. Many of the same materials used to construct fillings are also used to fabricate tooth-colored crowns. A crown is an aesthetic and functional fix to a tooth that has significant decay or damage, strengthening the tooth and improving its alignment. Crowns are also often used to finish a root canal. Inlays and onlays can be an effective solution if the restoration required is between a filling and a crown. Inlays fill in a larger percentage of the biting surface than a filling within the tooth cusp (the rounded edges around that area), where onlays both fill and cover the chewing surface and tooth cusp. Ask us if an inlay or onlay would be appropriate for you. 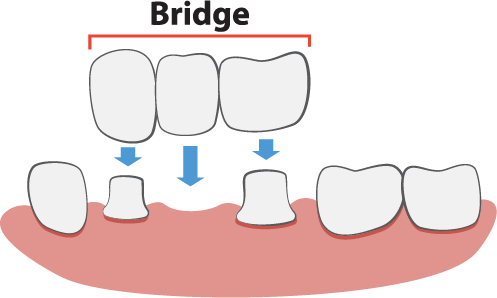 Bridges fill a space between an absent tooth or teeth. They are secured to nearby teeth or dental implants for stability, allowing the bite to be fully aligned, strong, and functional again. Bridge restorations are usually fixed to the mouth with crowns on either side, but there are removable bridges as well. Partials, or partial dentures, replace multiple missing teeth when there are still functional teeth present. Partials are often removable appliances, but when in use they still fill gaps, improve speaking and chewing, and help prevent future misalignment of your smile. 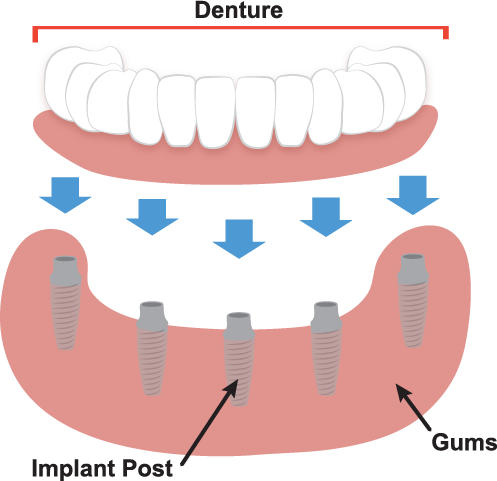 Dentures replace a full arch of teeth and are available two ways: the traditional removable prosthetic version or a permanent jaw fixture secured with dental implants. Ask Dr. Garrison and Dr. Klamer which version might be the best one to restore your smile. You Can Turn Back Time—Call Us! If you have any questions about our restorative services or would like to request an appointment with your Smithville restorative dentists, fill out the form below to send us your contact information and we’ll get in touch with you to set up an appointment. Or just give us a call, we can’t wait to smile with you!